Central to the ceremony, called the "Festival of the Flame", were the 4,200 Paralympians from 164 nations who sat around the field of play from the start. Arjuna awardee powerlifter Farman Basha is among the parathletes who have complained of official apathy, saying that the passes of escorts and coaches at the Games Village are being used by officials of the PCI. British teenager Jonnie Peacock who claimed the glory, roared to gold by an 80,000-strong home crowd, in 10.90 seconds. 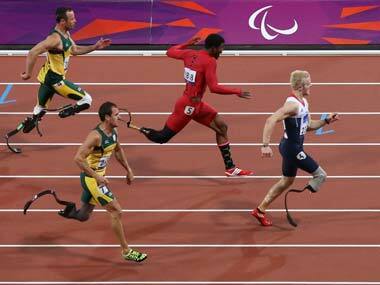 Pistorius — the original "Blade Runner" came in fourth. 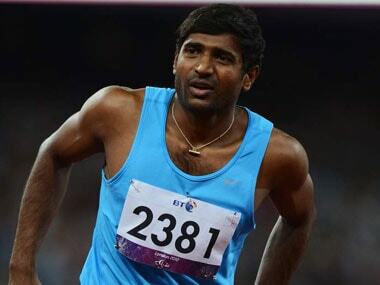 The announcement comes a day after Maken said the Ministry would award the 24-year-old high jumper with Rs 30 lakh. 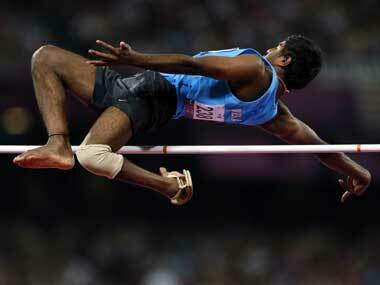 Girisha won the medal in the men's high jump F42 event clearing 1.74 metres on Monday. Moments after losing to Brazil's Alan Oliveira on Sunday, his first 200m defeat in nine years, Pistorius used a post-race interview to question the legitimacy of his defeat. 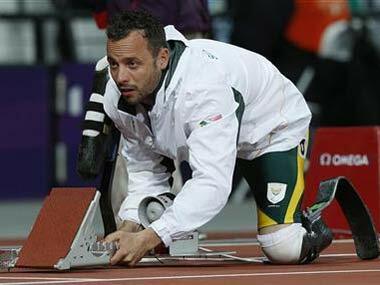 Besides detracting from the victory of Brazil's Alan Oliveira, it was a surprising rant from Pistorius who had convinced sports administrators that his own carbon-fibre blades gave him no advantage over able-bodied runners. 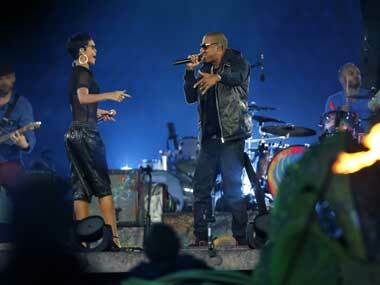 Paralympics fiasco: Maken and Sports Ministry responsible? 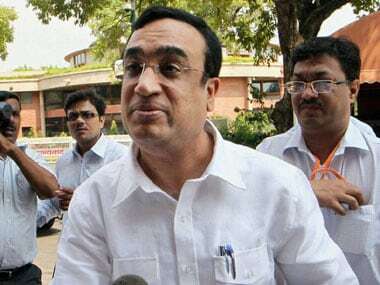 While Sports Minister Ajay Maken may have promised action against officials accompanying athletes at the London Paralympics, should he look within his ministry first? 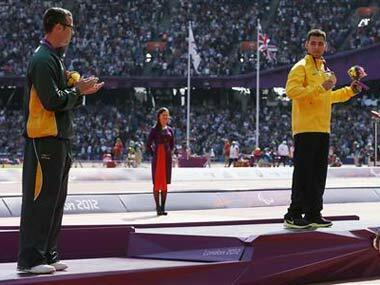 Girisha Nagarajegowda won India its first Paralympics medal in London. 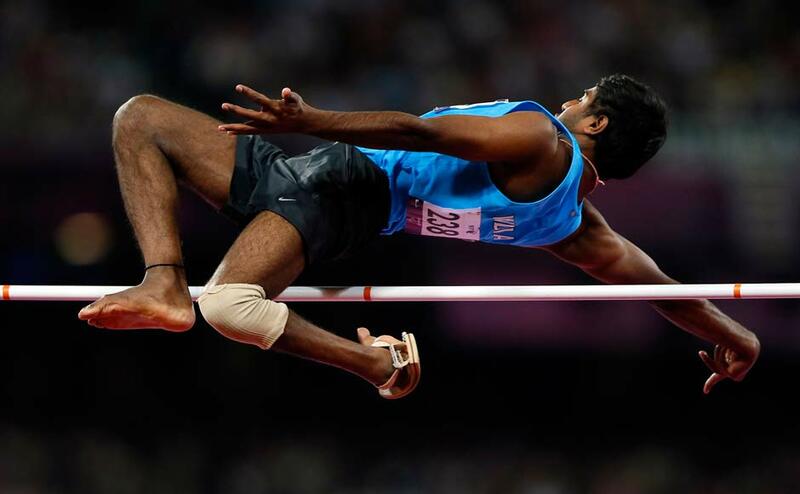 Here are images as the 24-year-old entered the history books after clearing 1.74m in the high-jump event to finish second in the presence of an 80,000 capacity crowd.